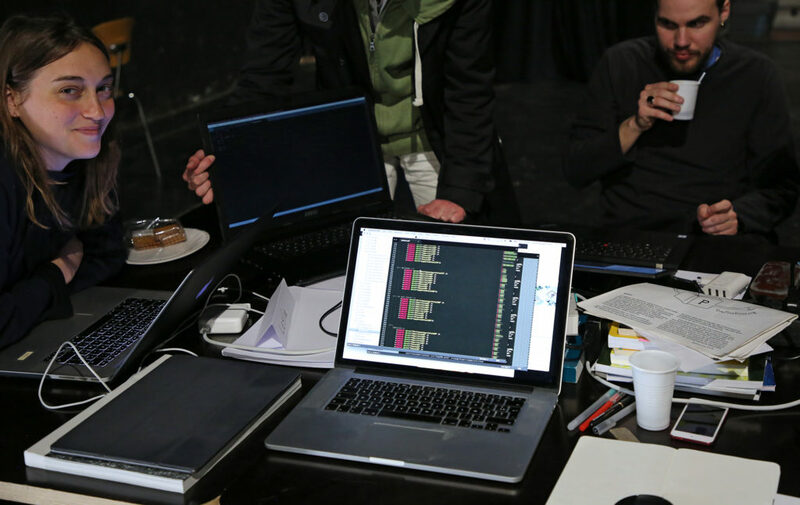 From 21 to 23 March 2019 at Friche Belle de Mai in Marseille, Alphabetville and La Marelle are organizing the fourth session of “Ecrits du numérique” devoted to experimental publishing, in partnership with EnsadLab, IRI, Leonardo/Olats and la Salle des Machines. As part of an project for creative writing and digital publishing, initiated by the advisor for books and reading at the D.R.A.C P.A.C.A.A., Alphabetville, a laboratory of multimedia writing, and La Marelle, contemporary litterature, are associated in a collaborative approach located at Friche Belle de Mai in Marseille. For this fourth edition of “Ecrits du numérique”, Alphabetville, with La Marelle, offers a focus on experimental and alternative publishing, while building a critical discourse on the operating modes and existence of these forms, i.e. on publication. Publication in the broad or etymological sense of publishing, including contents, formats, media, locations, interactions in digital culture, along with its technologies and equipment, and with regard to the web (new public space). And which should establish the possibility of an experimental public space. Experimentation implies an experience, practical and/or theoretical, intuitive or rational, the purpose of which is to test the real, its construction, to reveal its truth. Across the field of art and science and technology, experimentation is a paradigm and informs the production process, passing through research, development, creation, invention… The interventions will present research processes and their experimental challenges in various fields such as literary or artistic creation, art and science reviews, criticism or scientific research. And will report on possible hybridizations, between disciplines, between technologies, between publication spaces. A workshop will propose to discover and experiment hybrid publishing manufacturing processes with free digital tools. Retrospectives and prospective of the scientific experimental publication: the case of the arts and sciences observatory Leonardo by Roger Malina, president and editor of Leonardo, physics teacher at Texas University. Workshop directed by Julie Blanc, graphic designer, member of PrePostPrint, PhD student EUR ArTec, Laboratoire Paragraphe (Université Paris 8) and EnsadLab/Reflective Interaction (EnsAD-PSL); Lucile Haute, artist and teacher-researcher, Université de Nîmes and EnsadLab/Reflective Interaction (EnsAD- PSL), member of PrePostPrint; Quentin Juhel, graphic designer, member of PrePostPrint, student researcher at EnsadLab/Reflective Interaction (EnsAD-PSL). In the fields of publishing, graphic design, digital and printed publishing, alternative tools are developed and disrupt the production, distribution and consultation ecosystems of editorial objects. Until now, computer-assisted publishing (DTP) has played a central role in shaping text before it reaches its audience, gradually giving way to web technologies and methodologies (HTML5, CSS3, java-script, epub). Through a sensitive and creative relationship with digital technologies, authors, designers and publishers take hold of them and claim to escape the standardization of shapes, inherent in the standardization of formats. They question new creative modalities by opening up to “unconventional” practices and often based on open-source technologies, which are particularly suited to the creation of multi-modal or hybrid multi-media editorial objects for new reading contexts. During this workshop, we would like to present and share some free or unconventional tools and methods, alternative practices in publishing and graphic design. – single source publishing: multisupport design, introduction to web to print. Requirements: notions of html / css. 15€ fee for the workshop (membership + workshop + buffet).